Also called Cigar Box Cedar because of its aromatic scent and its wide use in tobacco humidors. It resembles the wood of South American Mahogany to which it is related. 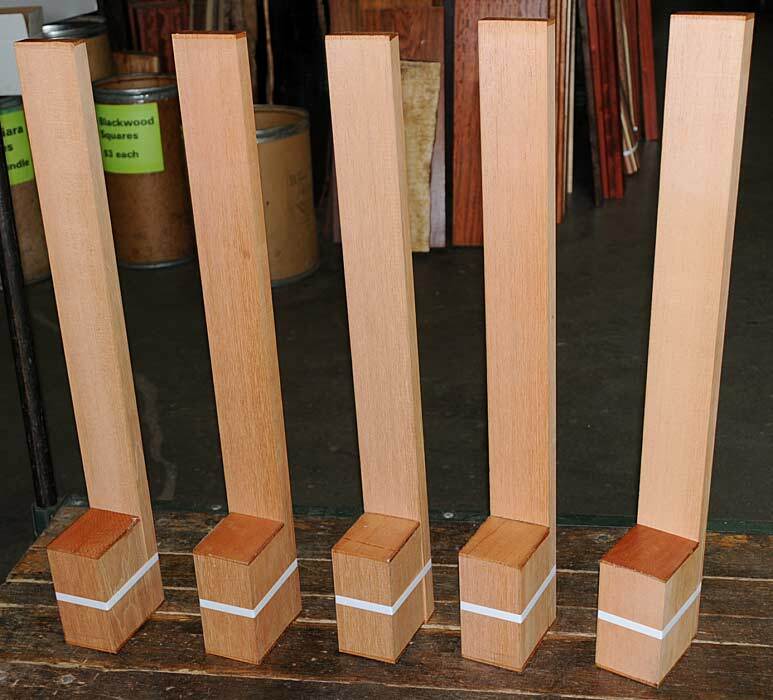 Heartwood color varies from a light pinkish brown to reddish brown. It is fairly light in weight. The price below is per one neck & heel set. Add more to the quantity in your cart to purchase multiple sets. The price below is per set. To add additional sets to your cart, simply change the quantity field in the shopping cart to reflect how many you would like and press the "update cart" button. 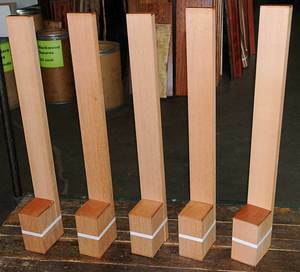 Necks 15/16-1 1/16 x 2 7/8-3 1/8 x 30-31"
Heels 2 7/8-3 1/8 x 3 7/8-4 1/8 x 6-6 1/4"